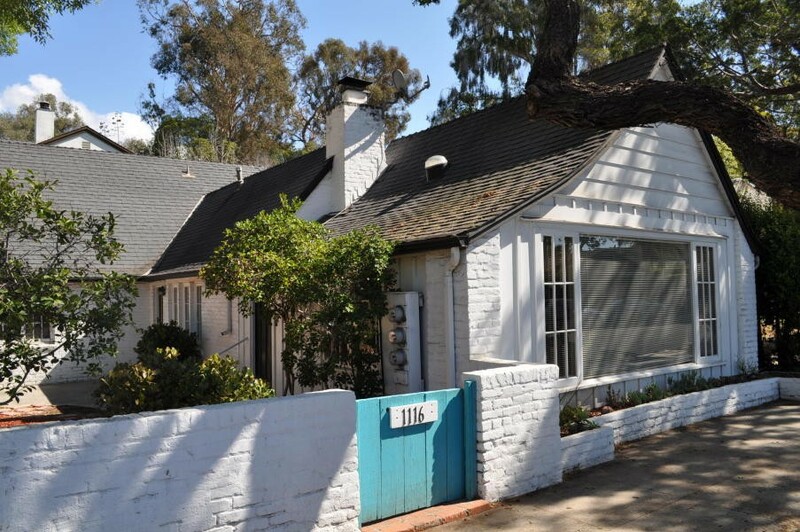 Unique opportunity to own an adorable home adjacent the the Santa Barbara Bowl! Charming Tudor Cottage built in 1927. High ceilings, refinished hardwood floors and gas fireplace with decorative tiles in the living room. Four bedrooms and three full bathrooms. Kitchen has a gas range and plenty of counter space. Fresh interior paint and newer flooring. Large front yard and backyard patio with rose garden - ideal for entertaining. Two off street coveted, covered parking spots! Close to shops and restaurants. Two condos were built in the early 1990's behind the property. Free-standing, original house, that is for sale, is now part of a condo association of three units: HOA fee is $258 per/mo.